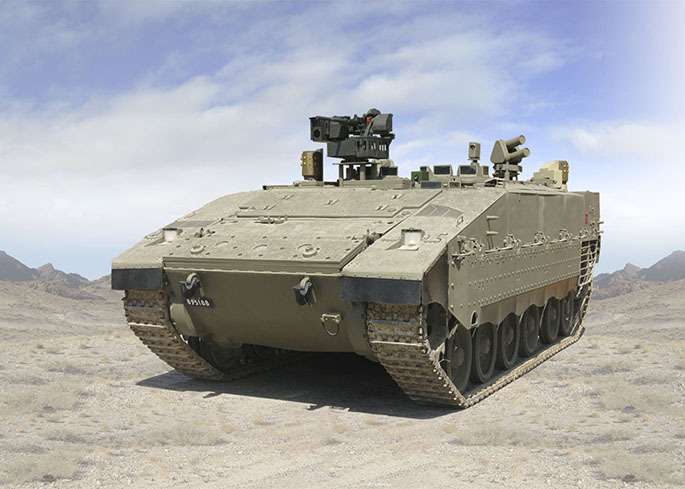 Iron Fist is an advanced Active Protection System (APS) that provides enhanced survivability of platforms ranging from light vehicles to heavy armored fighting vehicles. 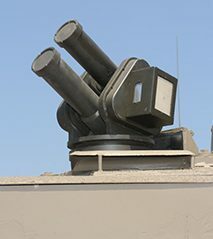 Designed to protect soldiers and vehicles from anti-armor threats, the Iron Fist rapidly and reliably detects, tracks, and neutralizes anti-tank rockets (i.e. RPG), anti-tank guided missiles (ATGMs), kinetic energy and high explosive anti-tank (HEAT) round with two layers of active protection. For optimal reliability, the system utilizes two independent sensing techniques: radio frequency (RF) and passive infra-red (IR). Upon a threat warning, a long-range soft kill electro-optical jammer engages the threat’s tracking and sensing behavior. If needed, a close-range hard kill interceptor physically destroys or deflects the threat a safe distance from the defended platform. 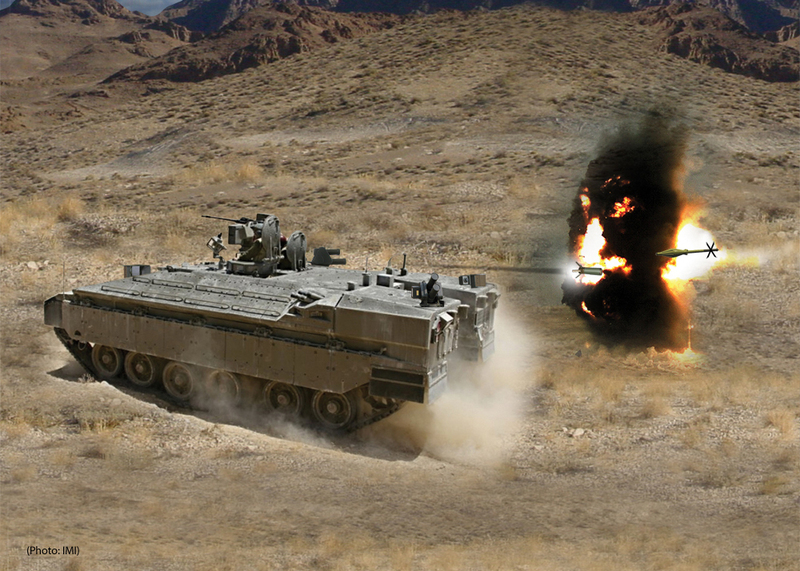 The blast interceptor effectively destroys or deflects an incoming threat with minimal fragmentation, minimizing collateral damage or injury to nearby personnel. Open architecture enables integration with additional sensors, countermeasures and counter fire systems.